Whether its for a family celebration or a special treat to mark the start of the summer holidays, this is a fun way to indulge the younger members of the family! Dine at The Mansion’s latest offering – designed to be enjoyed by our younger customers and their parents alike when visiting The Garden Room Restaurant – is receiving rave reviews in the press. 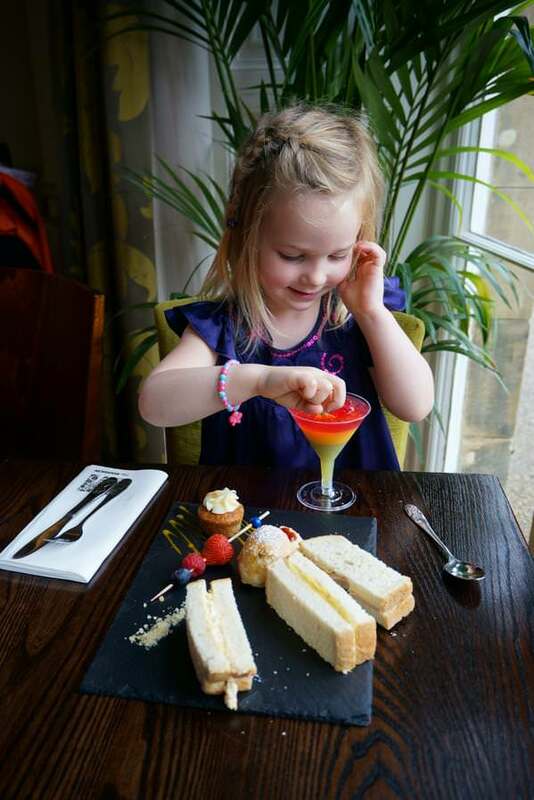 Our Head Chef Peter Harrison has created a unique Children’s Afternoon Tea including colourful jelly cocktails, popping candy, a “Babyccino” and traditional cakes, using quality local ingredients. Who better than to try the first tea party than our very own Alice?! 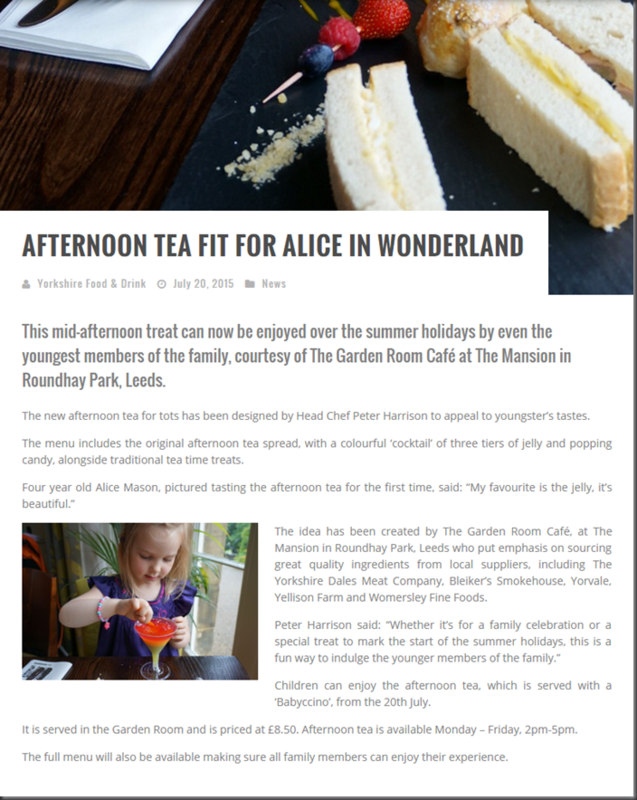 Features in The Yorkshire Post Food & Drink section online, The Yorkshire Evening Post and The Yorkshire Post followed, making Alice almost as famous as her literary namesake and our Children’s Afternoon Tea a must on every summer holiday wish list! Afternoon Tea alongside the full Garden Room menu is available Monday to Friday, 2pm till 5pm. Visit our Garden Room webpage for booking information.